Special Olympics Hamilton County does not charge athletes to participate in our programs. As such, we rely on the generosity of individuals and companies in the community to continue providing quality programming. 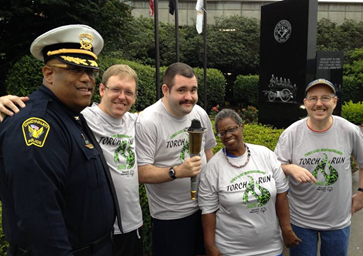 By making a donation to Special Olympics Hamilton County, you can ensure that individuals with intellectual disabilities in your community are able to continue participating in Special Olympics activities free of charge. Our local programming is not subsidized by Ohio or National Special Olympics, nor do we receive funding from the United Way. This makes your donation critical to our ongoing success. On behalf of the athletes, their families, our board and our staff, thank you for your generosity. 1. Online Donation Form – return to SOHC via email or fax to 513-271-2631. We thank you again for your sincere generosity and your continued support for the athletes of Special Olympics Hamilton County.